The 3rd Founding day Anniversary of Great Hyderabad Adventure Club GHAC is today on 27th May. I feel more adventurous and overwhelmed at the way the GHAC movement has spread across the city, enhancing the quality of life of thousands of fellow adventurers, giving everyone opportunity to participate in adventure activities and stay healthy and fit. We celebrated the occasion yesterday night with a cake cutting at Lamakaan and many of you had said kind words about me but I am grateful to the club members, especially the organisers for driving the club to what it is today. The Idea of GHAC was put online on meetup.com on 27th May 2008 primarily to provide an outdoor activity club for Hyderabad city where anyone and everyone, irrespective of gender, caste, creed, religion or economic status can volunteer or participate in outdoor activities. The first maiden trek of the group was to the Annapurna Base Camp Nepal on 07th June 2008 followed by other 527 adventure activities till date. We have also done 5 trekking trips to the Everest base camp Nepal. The club has over 4250 registered members, 60 upcoming adventure events already scheduled and over hundred more in the making. The major activities of the club include trekking, hiking, camping, jungle explorations, wilderness trips, nature conservation, environment protection, bird watching and adventure sports like bouldering, rock climbing, rappelling, paragliding and white water rafting. GHAC as a club has immensely helped and has contributed largely towards raising the quality of life in Hyderabad city. GHAC is also contributing a lot towards development of the society by making people active and bringing them closer to nature. GHAC gives everyone opportunity to try out various adventure activities and at the same time lead a healthy and active life style. On this occasion we have launched the GHAC-Wild website http://wild.ghac.in which will contribute to nature awareness and conservation and primarily have information on the flora and fauna like birds, plants, trees, animals, reptiles and insects found in Hyderabad and Andhra Pradesh. I wish you all an adventurous journey ahead and once more thank all the Organisers, Volunteers, Members, friends and family for their support all along the years. Without you this club would not stand where it is standing today. GET MORE OUT OF LIFE … be a part of the movement. Birds are beautiful and very lively. The reason they interest many people is because of the dynamism they bring to the natural life. Yes, they are the easiest observable moving, and feeling creatures in the natural world. You need not dive into water or venture into the wild to see a bird fly. Although they are very shy, probably because they don't wear a thing, they meed to be very active to survive. For most birds, camouflage is the biggest defense while perseverance is their biggest weapon. Their features of adaptation are much older than us and their behavior primitive - making them a beautiful piece of living history. To appreciate birds, we must be able to take interest in them. After a few days of looking at them as an illiterate, I wanted to know the name of the bird along with which I read some of its behavior. This started with a very common bird, the Cattle Egret, as it started gaining breeding plumage. I am sure that if you stopped looking around and actually start observing things, at one point you'll start observing birds and enter a new world from where you are now. 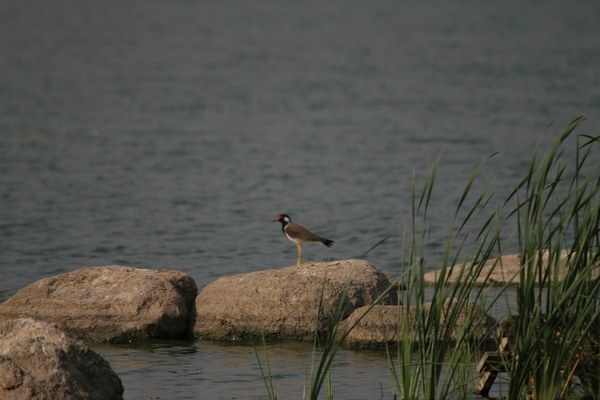 You will be surprised at how many birds you can see around a small pond or a lake - i didn't know that I was looking at 40+ around a small lake near my house till I brought my first book. As visual identification increases, it becomes a kind of KBC questionnaire where every question rises a lot of doubts. You never know whether you can freeze in on that or not, specially with the Warblers and Ducks. A female Purple Sunbird looks identical to the Purple-rumped Sunbird except for a black patch from its beak to the eye which is barely noticeable - you will dislike the entire female brand of birds (they are usually boring and frustrating, although you don't need to shop with them!). Now, you'll enjoy birding groups a lot as we guess, name and argue a lot. I had great joy at every capture in the camera and for the first time I could see the world around me in a great lot of detail - to the point of the size of a Warbler's eye. up to the wing span of a Purple Heron. As we enter the forests and the woods more, visual identification gives way to vocal identification. The voices are mixed - there are alarms, mating calls, breeding calls, communication calls and some more, but the spectrum isn't large. The eyes that have widened to see the larger world now shut to let the ears grasp a distant call better. I can hear a bird's sound haunt me because I couldn't identify it - what more, we have very little apparatus/books to accurately decipher bird sounds. That means that although we are able to hear a lot of the language from a bird brain, we are still dumb at it. Along with visual identification and vocal identification, behavioral interests grow. 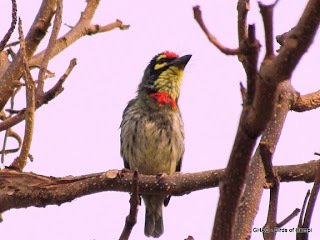 Some birds like the Red-vented Bulbul are so common that we tend to neglect them but we know very little of their behavior though. For example, I haven't yet seen it hunt a garden lizard although it is surely possible - wouldn't that be a sight!! 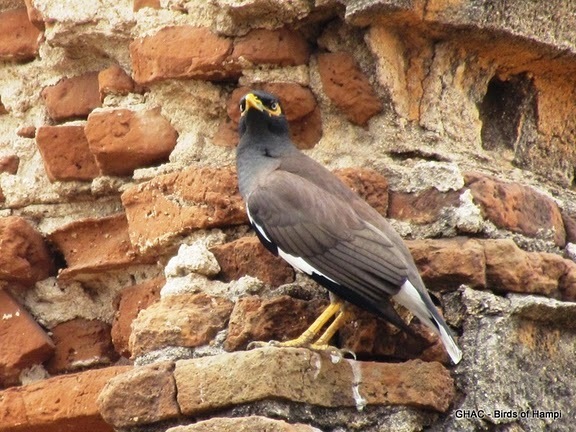 I want to count the eggs in a Red-wattled Lapwing's nest to determine the duration of the monsoon this year and see how a Black Kite reacts to a Black Drongo chasing it ( We've seen it being chased away by Parrots, Treepies, and Crows). The curiosity continues, so does our wandering. New avenues are open, but fascination remains the same - it may need a little sunbath to activate again but then I can't stop looking around and smiling a lot after I started birding. With some birding, I started enjoying morning walks, treks and free time more. I don't know if my birding is going to save the world, solve global warming etc but it surely makes me enjoy the nature that is left around me in a better way, without disturbing it of course. Birds are probably the most loved group of wildlife on earth. Their constant presence, beautiful colors, intelligent actions and cheeky manners endear them to us all. From the ever Common Myna with its host of squeaks, squawks and chirps to the tiny Pale Billed Flower Pecker flitting about the bushes letting out a constant stream of chip-chip-chip and the beautiful Purple Sun bird, beautiful in its own right with an iridescent purple sheen that could rival the freshest paint and who can ignore the Coppersmith Barbette, always on the move with a red bandanna around its neck and head and last but by no means least, the crazy red wattled lapwing, never minding its own business with its constant cries of "did u do it, did u do it”. Note: Article written by Mel Irwin.